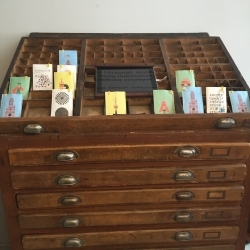 Typehype - A store in Berlin devoted to Type. 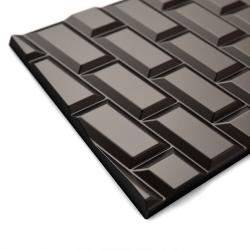 A typography lover's dream everything from posters to cushion covers and chocolate in your favourite type faces. 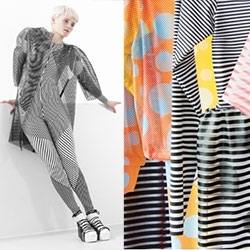 VIDEOAnouk van de Sande "Print In Motion" - Moire effects in fashion... even more enticing and mesmerizing that in print. As beautiful as her pictures are, you have to see the video to get the full effect! Fayvel "Shoes for dreamers" - the velcro patch game has expanded to kid's sneakers. Adorable double fox logo too! 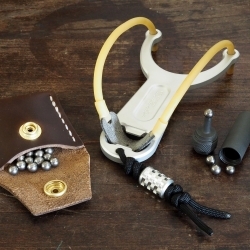 BRNLY SlingPop combines the fun of a pocket slingshot with the practicality of a “bar key” bottle opener. 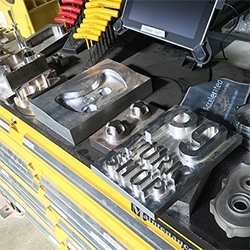 It is milled out of 6061-T6 Aluminum and has some interesting add on options like the Ball Pusher Storage Can. FEATUREDInspiration: North Park, San Diego (Pigment! Tacos Perla, Homebrewer, Nomad Donuts + beach!) 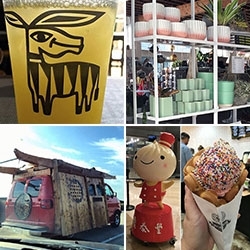 a look at the Mobi Dojo VAN, Cauldron OG Puffle Cones, Din Tai Fung soup dumplings (xiao long baos) being made and more. 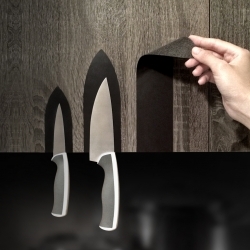 MAG Stickers by AMOD-DOMA - an innovative knife holder. Magnetic vinyl, and that's it! 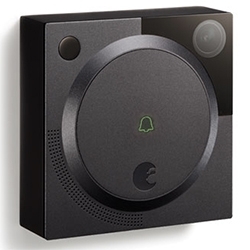 We use it to create magnetic stickers, which are pasted on the kitchen cupboards, easily optimizing kitchen space! Human Centered Design: CONCRETE from CEMEX and CEDIM - The purpose of this project is to discover new opportunities around the use of concrete in product design. See the jewelry, oil diffuser, mezcal set, and more. 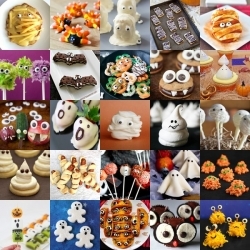 FEATUREDHalloween = Food with eyes over at Tasteologie. 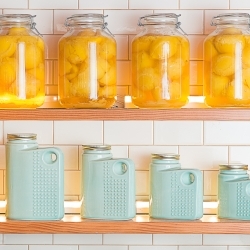 Here are 25 examples to make yourself of get inspired by to invent even more foodie creatures! Spin & Relax! 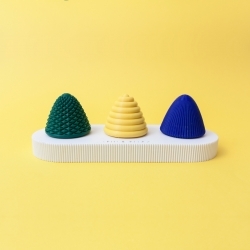 3D printed spinning tops created by the Polish designers of UAU Project. Push the handle in the main part until you hear it click in place. 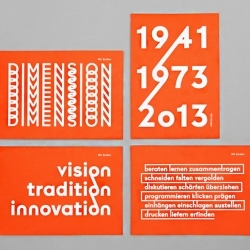 Swiss bookbinding company BuBu gets a new, playful identity by Studio BOB. 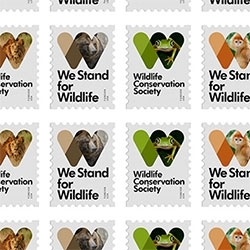 New identity for the Wildlife Conservation Society by Pentagram's Michael Bierut and team. Love the stamps! The New Order by Blank William. 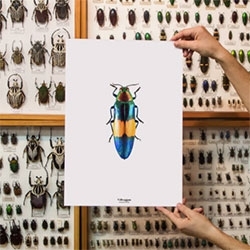 Villveggen launches the first butterflies and beetles prints collection. 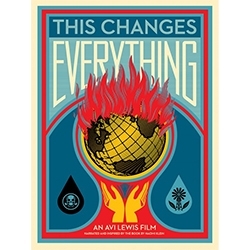 More than 20 posters designed in Barcelona. Feel the nature in your home. 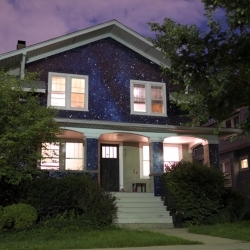 Chicago-based artist Kate McQuillen wrapped a house in the night sky. 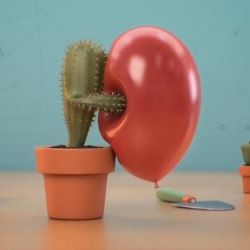 VIDEO"A Guide To Happy" by Panoply - Beautifully 3D rendered animation on the subject of happiness. 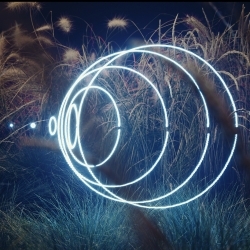 This is our take on that age old question ­- What really makes us happy? Ophelia by En Salmõn Mostaza is a lamp that allows the user to create different enviroments manually by arranging the screens in any wanted way. 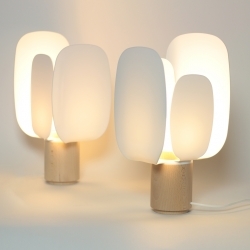 Ophelia stands elegant to be not only a wrapper for light, but a lamp capable of adapting to it’s user. 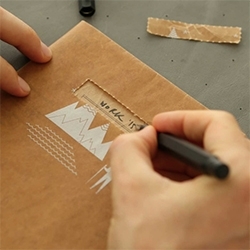 Spitsberg is a new Product Design Studio based in Amsterdam. 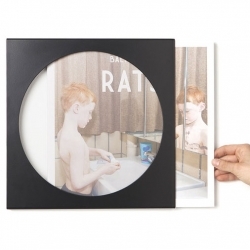 "For The Record" is a simple frame for LP covers, which comes in 3 different colours. San Diego Brewer's Guild Map - driving around San Diego it's hard to miss how many breweries, tasting rooms, and taprooms are all over. This map shows just how many there really are! 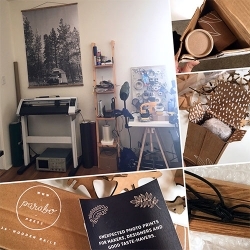 FEATUREDUnboxing the Parabo Press engineer print with wooden magnetic rails. Ordered via iphone app, uploaded an Instagram photo of our first NOTFZJ camping trip... 2 weeks later 3'x4' print arrives from Mumbai! 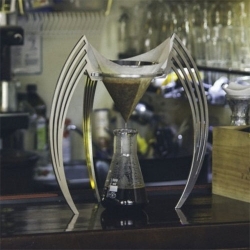 Daily Coffee News interview with IIKONE, a new, design-forward pour over coffee brewer that turns heads and sets the taste complexity bar to a new level thanks to a patented open filter solution. 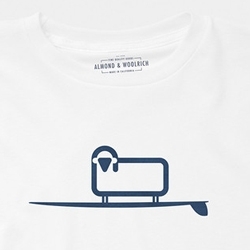 Almond Surfboards x Woolrich Surfing Sheep T-Shirt. Part of the Almond x Woolrich "Wax and Wool" collection - and an adorable graphic mashup of brands! Baja Body Gym in Oceanside, CA. For added challenge, the gym is filled with sand, bringing the beach indoors. Interesting idea - though i would have expected it to be further away from actual beach! 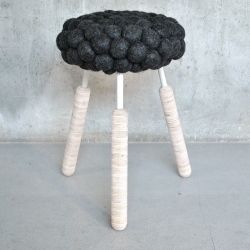 Swedish designer Hanna Bramford has created Black Sheep Stool, with a seat made out of wool from black sheeps. 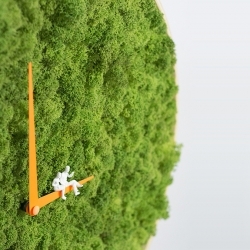 A hand made clock by noktuku studio contains real moss. 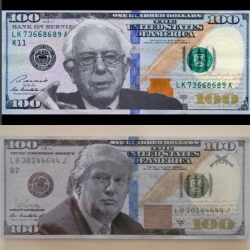 FEATUREDPlastic Jesus puts Trump and Bernie Sanders on 100$ bills. 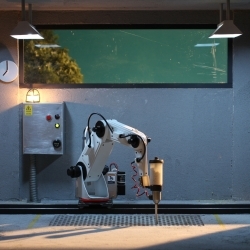 VIDEOThis animation from Niels Hoebers illustrates the development in 3d printing, from a regular 3d printer towards Vander Kooijs 3d printing robot, which offers endless possibilities. 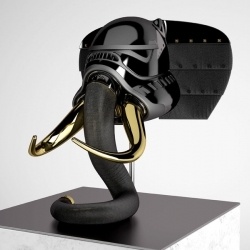 See it this weekend at the Dutch Design Awards In eindhoven. 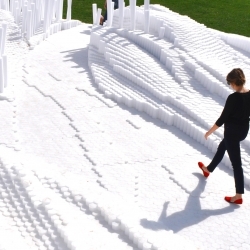 Over 20,000 pool noodles were used to create SoftMatter. 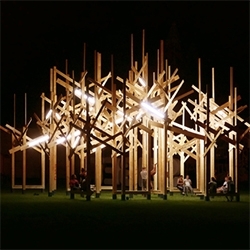 A temporary cascading landscape by PROJECTiONE. 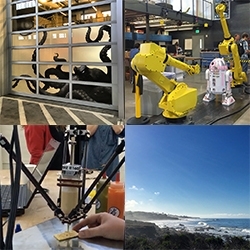 FEATUREDTour Autodesk Pier 9 in SF - the ultimate creative workshop for design & fabrication - from huge CNCs and water jets to 3D printers, sewing machines, welding setups, test kitchen, electronics, industrial robot arms, and surprises. 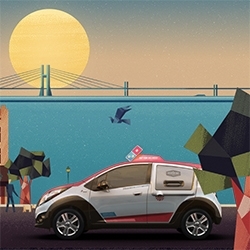 Domino's 2016 DXP - "The Ultimate Pizza Delivery Vehicle" An upgraded Chevy Spark that has things like a warming oven and special stabilized pizza areas to hold up to 80 pies. 5 years in the making, there are currently 97 on the road! Fun website. 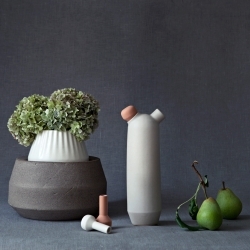 Biophilia by Stoft Studio is a set of nesting ceramic vases that takes its form from the stages of natural plant growth. 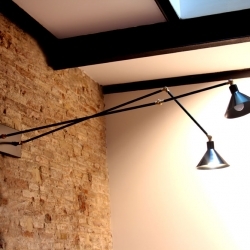 Special vintage lamps have been manufactured to illuminate the desks of an office located in Mercat de Sant Antoni, one of the trendiest quarters in Barcelona. 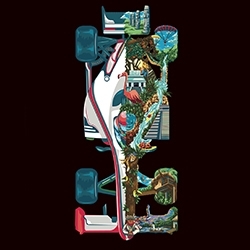 FEATUREDGreat Mexico Tourism poster for the upcoming Formula 1 Gran Premio de Mexico 2015. 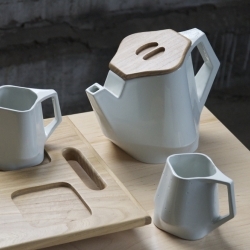 "Much more than 16 corners"
Beautiful slip-cast porcelain and wood tea set by Wendy Puerto. 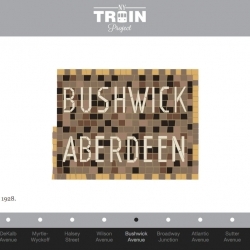 NY Train Project is an illustrated tribute of the mosaics and signage of the New York City subway. 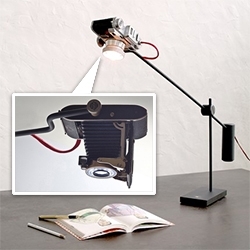 Y Studio Camera Lights - antique cameras reborn as desk lights! VIDEO"Happy Virus" Lenticular Print from Friends With You. 24 x 13.5 inches, edition of 100. 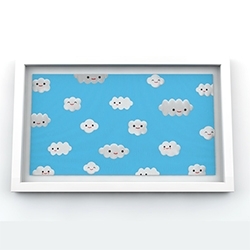 Happy Clouds! 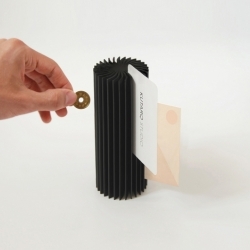 Kutarq Studios' ‘Starfish’ is a paper holder made of a single piece of extruded aluminum. Simply stick your business cards, left coins, paper notes, clips or office paraphernalia in between the fins and they will be held in place. VIDEOTrunk’s director Junior Martínez and Pablo Barquín have created a stunning and mesmerising video for Floating Points, aka Sam Shepherd. FEATUREDOstrichland USA in Solvang, CA just off Highway 1. 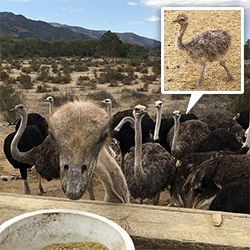 Definitely worth a pit stop... especially during baby ostrich/emu season! It's grown a lot since i was last there in '08. Kept Goods - The canisters in this collection are sturdy, slip-cast ceramic stoneware storage for dry goods and bulk items, like coffee beans, baking products, snacks, cereal, sugar, and more. 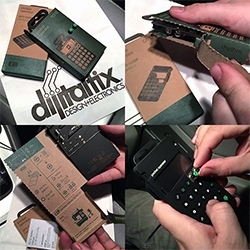 FEATUREDUnboxing the Teenage Engineering Pocket Operator (PO-12 rhythm) - it's even more beautiful, well designed, and fun in person... and the packaging! Brilliant! 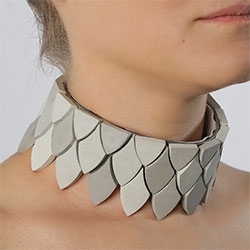 finished using the most carefully selected materials. 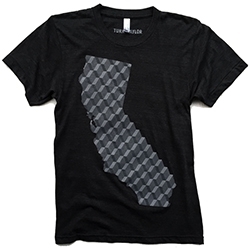 Italian design, 100% Made in Japan. FEATUREDInspiration: LA-SF-LA Roadtrip. Up the middle and down the coast of CA to see all the projects and lustworthy machines at Autodesk Pier 9 with stops around the city and along the ocean... from ostriches to coffee roasters and more.